Bumble COO Sarah Jones Simmer has given her thoughts on the future of working life, and on how the female-first app is changing the way we think about office space. 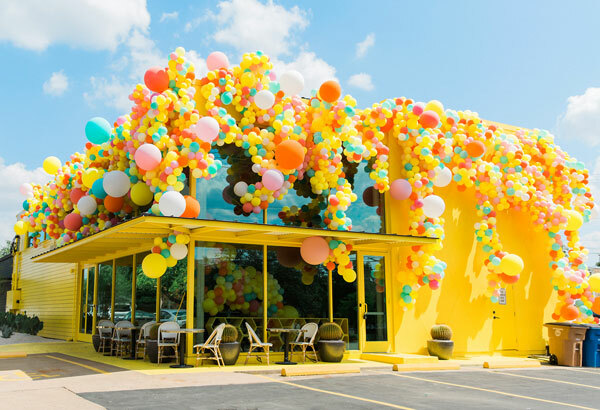 The main Bumble building in Austin, Texas received international media attention when it first opened. The HQ has striking yellow walls and an internal design laden with positive slogans. Anna Auerbach, founder of planning software provider Werk, led the conversation with Simmer as part of her “Looking Forward” series on LinkedIn. Simmer discussed how the company achieves a steady work-life balance for its 85% female employees. It has implemented modern parental leave and reintegration policies, and there are also young children and babies in the office most days. There are a number of perks that Whitney Wolfe Herd has introduced to inject a focused and inspiring culture. Employees are treated to free lunches, fortnightly haircuts and mani-pedis, as well as flexible start times to fit around their family commitments. The Bumble COO explained how important it is to maintain values of equality to motivate every person on the payroll. Jones Simmer said to Auerbach: “That idea of being able to work for something that you believe in is the core of the culture. The perks are wonderful – but I think what gets everyone out of bed in the morning is that we’re trying to change the world, and I say that with full sincerity.